•	Free from disease and physically fit for active work. •	On each working day, he is engaged in 8 hours of occupation which usually involves moderate activity. •	While not at work, he spends 8 hours in bed, 4–6 hours in sitting and moving about, 2 hours in walking, and in active recreation or household duties. •	On each working day, she is engaged in 8 hours of occupation which usually involves moderate activity. •	While not at work, she spends 8 hours in bed, 4–6 hours in sitting and moving about, 2 hours in walking, and in active recreation or household duties. 1. ICMR. Nutrient Requirements and Recommended Dietary Allowances for Indians. Hyderabad: National Institute of Nutrition; 2009. 2. ICMR. Nutritive Value of Indian Foods. Hyderabad: National Institute of Nutrition; 1996. 3. Nutrition in India. UN ACC/SCN Country case study supported by UNICEF Annex I: food consumption data: the national nutrition monitoring bureau and national sample survey organization. Available at: http://www.unsystem.org/scn/archives/india/ch13.htm. Accessed January 13, 2012. 4. Gupta RK. Nutritional assessment and surveillance of a community. In: Vaidya R, Tilak R, Gupta R, Kunte R, editors. 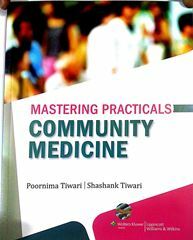 Text Book of Public Health and Community Medicine, 1st ed. Pune: Dept. Community Medicine, AFMC, in collaboration with WHO, India office, Delhi; 2009. 5. Park K. Nutrition and health. In: Park’s Textbook of Preventive and Social Medicine, 20th ed. Jabalpur, India: M/S Banarasidas Bhanot Publishers; 2009.